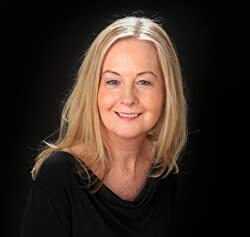 Joining me today to share #TenThings about herself is Mhairead MacLeod, author of The False Men. I live in Australia but grew up in Scotland (with a few years in Africa when I was young). My parents had a great sense of adventure. They took me and my brothers to remote communities where my father worked as a dentist, such as South Uist in the Outer Hebrides of Scotland, bush villages in Tanzania, and also outback Australia. I think this upbringing had a lot to do with firing my literary imagination. I finished working full-time in law last year to focus on my writing. I have a break by going to ballet and drawing classes, and I sing in a choir. These days I have more time to read, which is a huge bonus. I’ve just finished reading Less by Andrew Sean Greer. It was brilliant, funny. I’ve just started reading a historical novel, The Butcher’s Daughter by Victoria Glendinning, which I’m really enjoying. I love non-fiction books about history—they are like time-machines. I have so many, the shelves of my bookcases are bending. I’m currently working on a time-slip novel. I won’t give away too much at this stage but it involves both medieval and contemporary characters and I’m very excited about returning to Scotland again to do more research. My other historical manuscript is currently with an editor. It’s set in the frontier of North Queensland, Australia, during the 1920s and was inspired by a real person. My main protagonist is a young Scottish nurse with a young child and she has a devastating secret, the consequences of which she is hiding from. I enjoyed visiting the tropics when I wrote that novel. 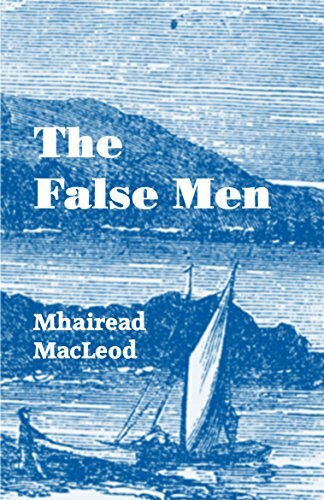 My novel, The False Men was a project which is close to my heart. Not just because when I was born my family lived in the area it is set in, but because of what I discovered when I researched the background. When I started writing the novel, I’d only a vague idea about the Highland Clearances. It was the cold brutality of how they were carried out which struck me most. In my childhood they weren’t talked about in the community and the topic was effectively barred from the education curriculum. I’ve written about it on my website blog. I have only one rule for my writing routine: Make it regular, no matter what. When I was working full-time I’d get up a 5am each day to write. Writing is not a matter of sitting leisurely while brilliant ideas flow. It is hard, sometimes lonely, work. My goal is to write something most days, even if it is a hundred words. Sometimes I start with a few words and end up writing the whole day. My husband is a poet and he spends most days cloistered in his study too, so luckily there’s no clashing of timetables. I have a small writing room and my desk is so packed with the piles of books and articles I’m accessing for research, I have to push them aside as I add more. The windows look out onto greenery, but because my eyes are focused on the screen, I rarely have time to take in the wild garden. Whenever I see someone reading a novel or eBook on the train or plane, it gives me a jolt of happiness. I saw a boy the other day sitting in the park with his skateboard, his head down in a book. I imagined he’d skated to a quiet place to read. I felt like hugging him. They say that reading helps generate empathy in people, but perhaps it’s mostly empathetic people who take up novels to read.